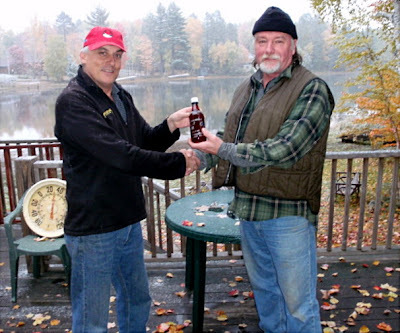 Mike K gratefully accepts bottle #19 as his full allotment of Escanaba Pail Ale™. He requested a hand crafted label, but indicated he will cover it up if something better comes out of the Marketing Department. The allocation and tasting spreadsheet has been updated to reflect the transfer.